Grit sand is an essential component of a concrete mix, used for a variety of purposes including bedding block paving and cementitious renders. If you’re planning on making your own concrete mix for a large project, Marshalls’ grit sand bulk bags are essential. 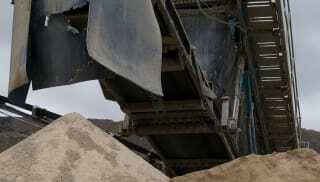 Marshalls supplies grit sand in medium and coarse granularities to suit any requirement. Coarser and heavier than regular sand, it’s the most suitable type to use in concrete mix, along with gravel and cement. For ease and convenience of supply, we offer grit sand bulk bags to deal with large volumes of work. Whether being used in a concrete mix or to provide support for block paving and patios, it plays an important part in any construction project. See our specification pages for more details.